Overplay is a provider that have been expanding over the last 12 months so I’ve been taking a look at their service to find out how they compare to the competition and to find out if they’re worth signing up to. Overplay is different to most of the other VPN companies out there because they offer two different package types. Alongside the VPN service Overplay also offer a SmartDNS feature giving the choice if you want to only sign up for the SmartDNS service or if you want the added encryption feature via their SmartDNS + VPN package. The prices of both packages are as follows. Like most other VPN providers the biggest savings can be made when taking a yearly account so it’s worth considering how long you’re going to need the service before signing up as you can save up to $20 over paying monthly. Overplay are slightly more expensive than some of the competitor services out there such as IPVanish so if you’re on a tight budget then you might consider comparing their service. Currently only credit / debit card and Paypal are accepted as payment types so if you’re looking for Bitcoin or other obscure payment methods then you’ll be out of luck here and have to look elsewhere. Overplay has software for both Windows PC and Mac computers. The Overplay software has recently been overhauled and given a fresh new look. This visual update has also increased the ease of use of the software so if you’re new to VPN systems and don’t want to be confused by multiple options then you’ll definitely appreciate the Overplay client. The software is nice and simplistic if you’re a beginner but you may miss some advanced options if you’re more of an expert user. The home screen of both the Windows and Mac software consists of a slider that allows you to alter the encryption level. What alterations this makes isn’t specified and is instead signified between speed and security. The software allows connection via OpenVPN only. If you’re a new user then this is going to give you the highest level of encryption which is a good thing. If you need to access other protocols then you’ll need to do manual set-up or choose another provider. If you’re confused about different VPN protocols and encryption levels then using OpenVPN on the “Security” option of the Overplay software will be the most ideal. My overall impression of the software offering is Overplay is very user friendly but if you’re an advanced user then you may feel a little under resourced. However, if you just want to make fuss free connection then the desktop clients are ideal. Overplay unfortunately don’t currently have mobile apps for either Android or iOS which meant I couldn’t test them. I did quiz Overplay about this and they let me know that apps are in development and should be released within the coming months. The chances are by the time you read this review the apps have already been released so head over to the Overplay website for updated information. Overplay have expanded quite a lot within the last 12 months and as the price has stayed the same it means you now get more for your money. 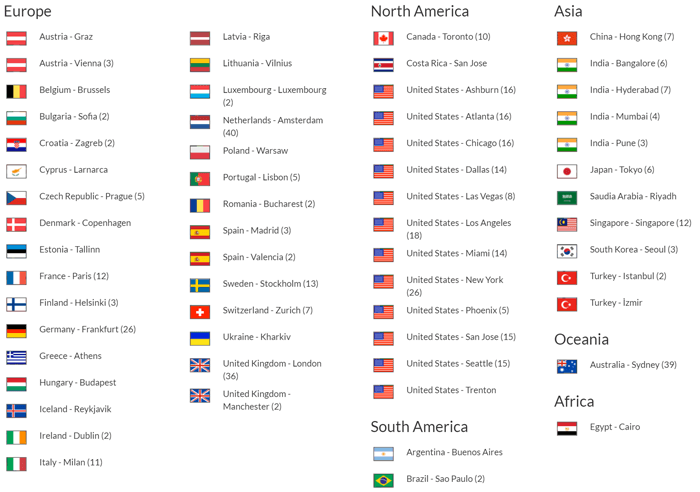 There are over 42 countries available to connect to with more than 450 servers. Previously there were around 50% fewer locations so as you can see you now get a lot more service for your money. Europe is heavily covered with most countries available to connect to and if the direct country isn’t available there is often a neighbouring country that will provide suitable speeds. The United States has locations all over the country with Canada and Costa Rica also available in North America. Argentina and Brazil head up the choices for South America. There is a selection of countries in Asia including Turkey, India, Hong Kong and Saudi Arabia to name a few. Australia, New Zealand and Egypt round up the locations elsewhere with a handful of other countries available. With so many locations across the world it doesn’t really matter where you’re located because even if there isn’t a VPN server in your own country there is bound to be one nearby. The most important part of the Overplay service is the fact they don’t discriminate against the type of traffic you transfer. This includes how many times you connect or switch servers. It’s all unlimited on the service. If you use torrents or P2P networks then you’ll be pleased to know that Overplay won’t limit your download speeds. 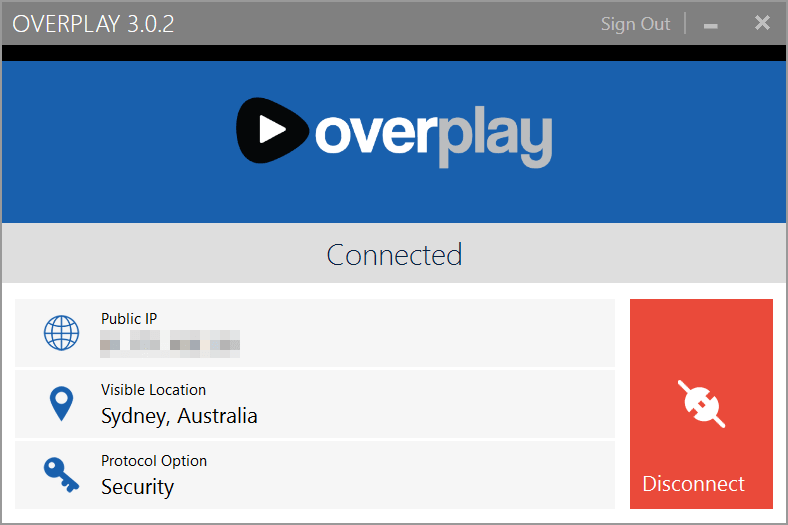 If you have an ISP that does then you’ll be able to bypass those restrictions by using the VPN service from Overplay. Overall the speeds from Overplay are some of the best I’ve seen in the industry. I tested Overplay from the UK on a fast wired connection and had minimal speed loss. Currently I tested the service in Australia using a Wi-Fi network which isn’t reliable at the best of times but the speeds achieved were still very good. My standard download speed was 42.47 Mb/s and the following results were achieved on 29th July 2016. The connection I used at the time of testing isn’t the best but as you can see from the above results the speeds are more than adequate. The service especially excelled on the local server in Sydney. Overplay offer an all round good and stable service. I especially like how they’ve expanded so much in recent months as it makes the service that much better for the money you’re spending. At the time of review it was a little disappointing that there are no mobile apps for Android or iOS but as said earlier they are in production and by the time you read this review it’s possible they’ve already been released. If the mobile apps haven’t been released then it’s still possible to use the service but you’ll need to do manual set-up. The redesigned desktop software for both PC and Mac is both extremely easy to use and uncluttered. This will be most suitable for a novice because there are no bells and whistles but if you’re an expert then you may dislike the lack of customisation. Price wise the service is a few dollars more per month than comparable services from a provider like IPVanish but you do get the additional SmartDNS service so if bypassing entertainment region restrictions is your thing then the service is well worth the money. 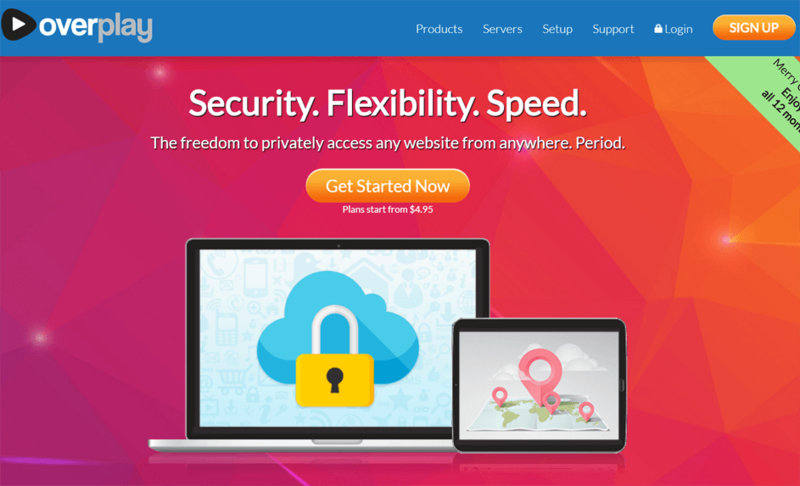 I would certainly recommend the service if you’re looking for a fast and reliable VPN solution but if you’re a mobile user you may wish to hold off until the mobile apps are released, why not check out their website and see if that’s already the case. To sign up just follow the link below.